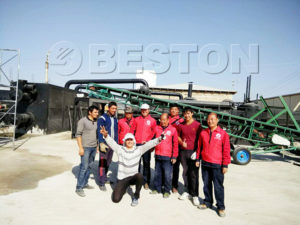 Beston fully continuous pyrolysis plant, BLL-20 is very popular among investors. It can process more than 20 tons of raw materials, including waste plastic, old tires, rubber, oil sludge and even medical waste. It is equipped with automatic feeding and discharging system, which can realize feeding materials on one side and discharging slag from the other side continuously. So it can work for 24 hours per day without a stop. Due to the great working efficiency, it is a very profitable investment plan. In order to improve the working efficiency, the raw materials should be pre-treated before they are sent to the waste pyrolysis reactor. For example, we will equip a dryer to lower the water content of waste plastic. While as for the waste tyre, it should be cut into small pieces, smaller than 50 mm. So we have tyre crusher for sale. If you want to dispose of medical waste, you should clean and disinfect the medical waste first. Except for fully continuous pyrolysis plant, Beston also has batch and semi-continuous plants for sale. More importantly, Beston Group will provide you with the suitable waste recycling business plan according to your real conditions. Here are more parameters for your reference. 1. The processed raw material is put into the pyrolysis reactor automatically. When the inner temperature of the pyrolysis reactor reaches related degree, the oil gas will be generated. 2. Then the oil gas goes into the manifold firstly. In the manifold, the heavy oil gas will be liquefied into heavy oil and drop in the heavy oil tank. The light oil gas rises up to the condenser, and then be liquefied into oil. In the hydroseal, the combustible gas will be desulfurated and cleaned then recycled to heat the pyrolysis reactor. 3. The smoke produced when heat the reactor will be cooled down then enters the de-dusting system. In the spraying tower, the smoke will go through the water washing, water spray, and ceramic ring adsorption, so the smoke can meet the EU environmental protection and emission standards. 4. As for the carbon black, it will be discharged by the auto screw discharger. 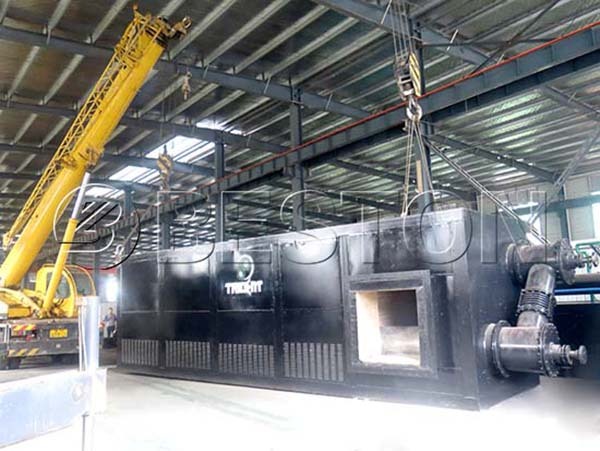 The automatic feeding and discharging system make the whole pyrolysis process convenient. Here is a video for your reference. The final products can bring more profits for you. 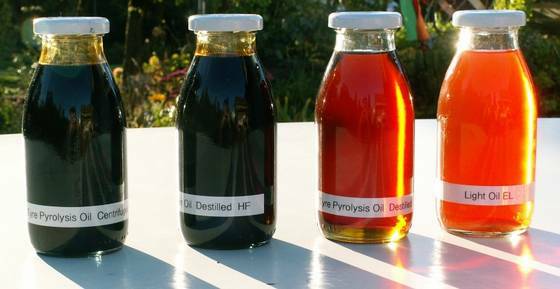 You can sell the pyrolysis fuel oil, carbon black directly, and you can also improve the quality of the carbon black and pyrolysis oil to let them have a higher market value. 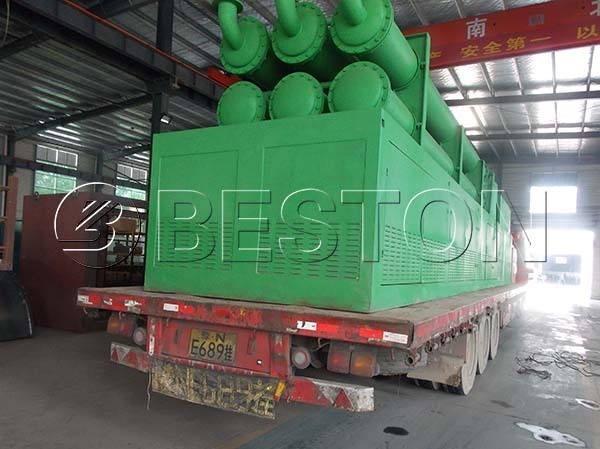 For the pyrolysis oil refining, we can provide you with waste oil distillation machine. 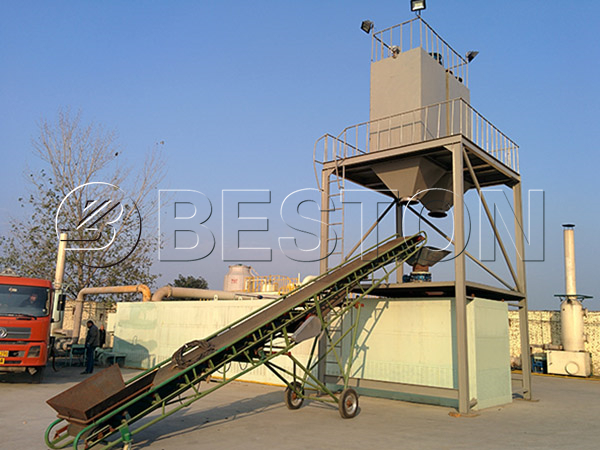 As for the carbon black processing, Beston carbon black processing plant for sale is available. The combustible gas we have mentioned before can heat the pyrolysis reactor after the recycling process, which can also reduce your investment in energy. First, it adopts a tube type condenser. It can increase the cooling efficiency thanks to the larger cooling area and better cooling effect. Second, its reactor is stable and not rotary, which makes the temperature rise and pyrolysis react quickly. This special design makes the whole pyrolysis process much more efficient and the energy saving. Thus the investment in the energy is lower. Here is a picture of Beston continuous waste tyre pyrolysis plant in South Africa. Third, the security design can not only protect the workers but also can protect the environment. The casing can ensure that the high temperature will not cause harm to the workers. And the alarming system can ensure that the workers have a safe working condition. Fourth, it can run for 24 hours a day without a stop and there is no need to cool down the reactor before the second batch. 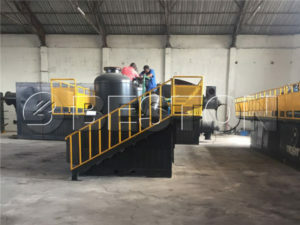 If you do not want to invest a lot in labour cost, and the scale of the waste you want to dispose of is large, then this plant can be your best choice. You can come to visit us to have a closer look at how the plant works. All Beston people will provide you with the perfect service and superior quality products. Welcome to contact us now!